* Martha Stewart Food and Treat Decorations contains 6 labels. 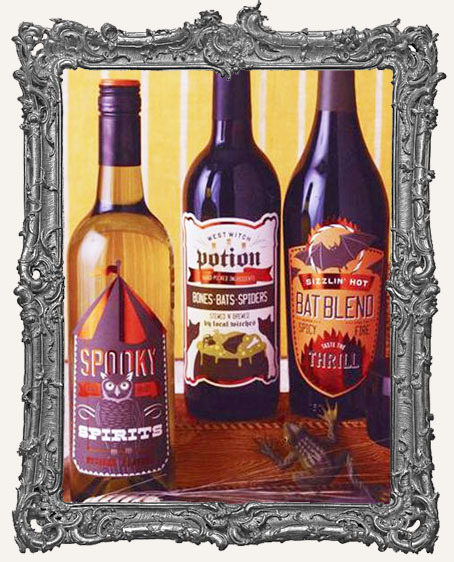 * Beverage Labels Carnival: Labels include two each of three designs; "Spooky Spirit", "Mystery Flavors; West Witch Potion, Stewed n' Brewed By Local Witches"; "Sizzlin' Hot Bat Blend, Taste The Thrill". 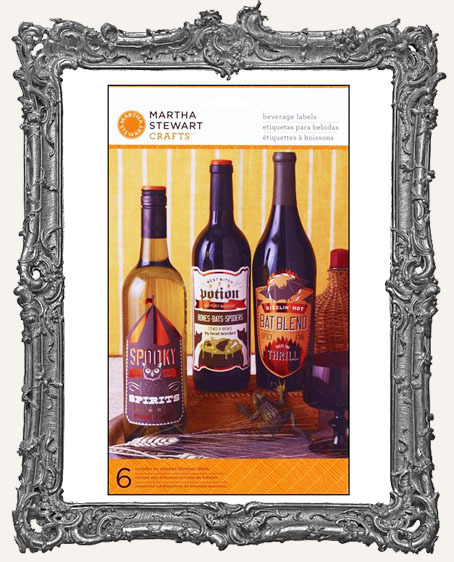 Cover the labels on your wine bottles or other beverage containers with these creepy alternatives. * Or use them in your altered art and collage work!